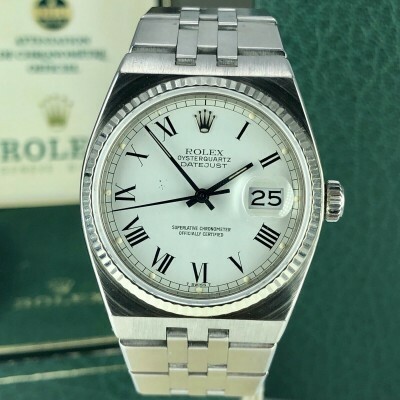 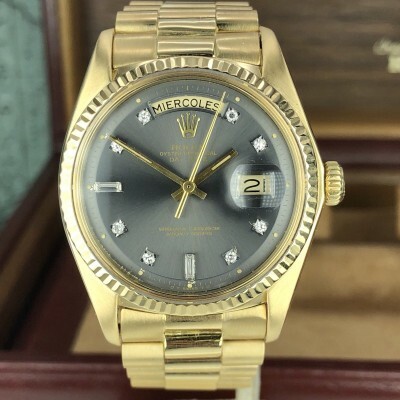 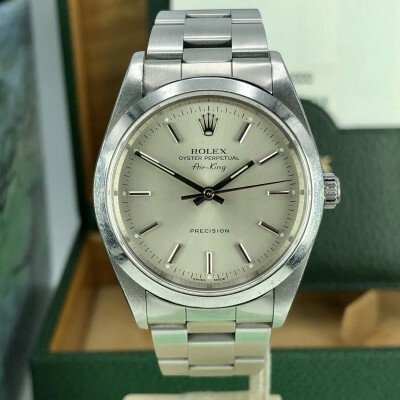 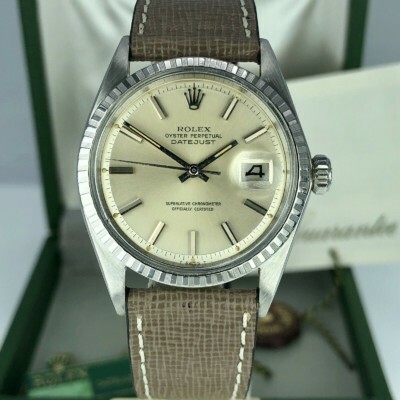 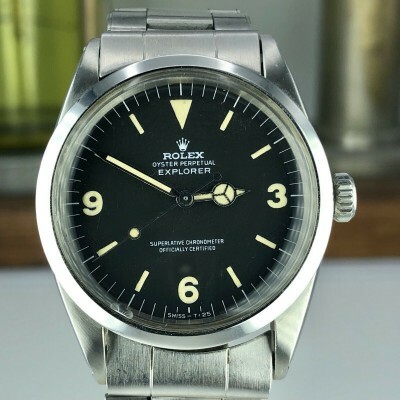 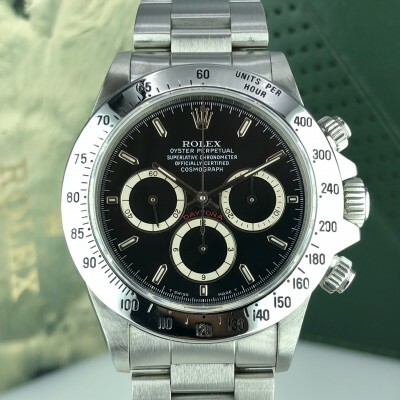 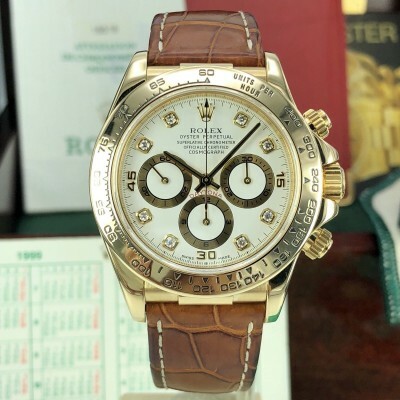 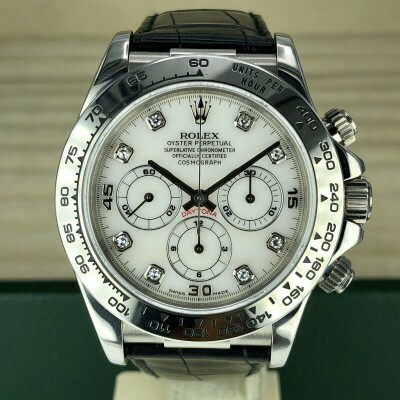 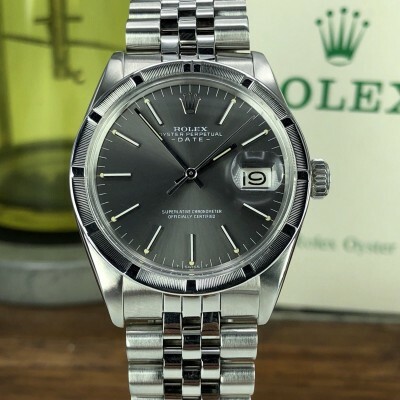 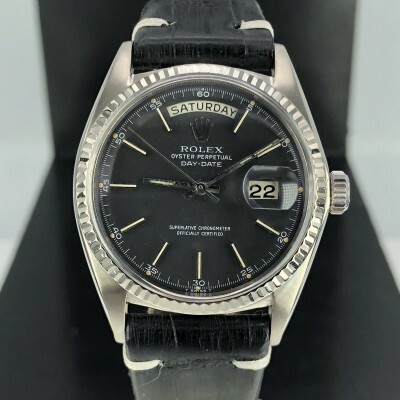 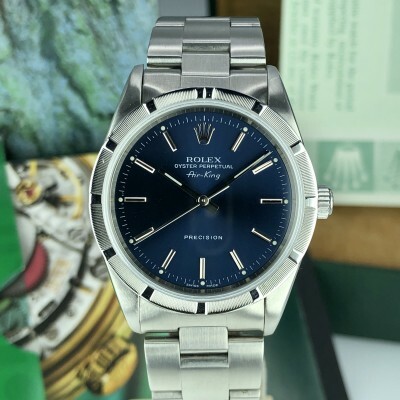 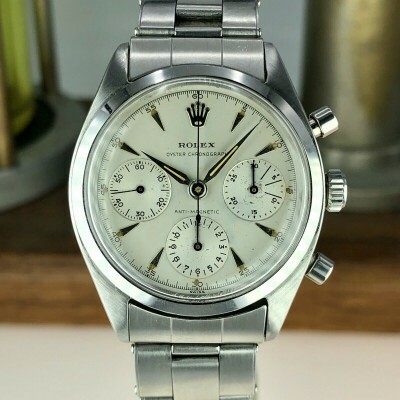 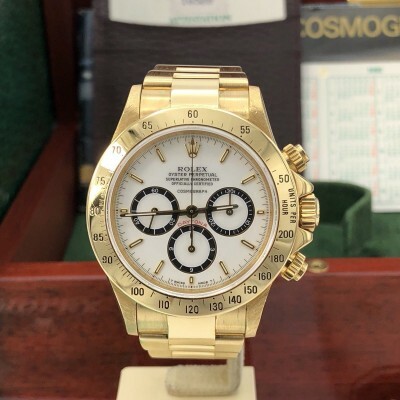 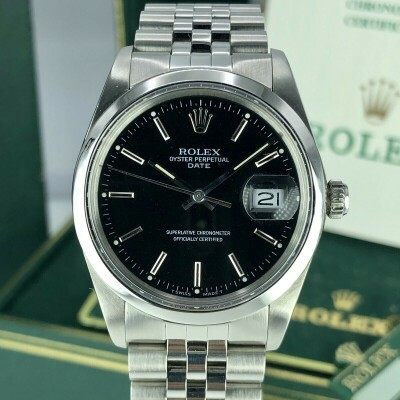 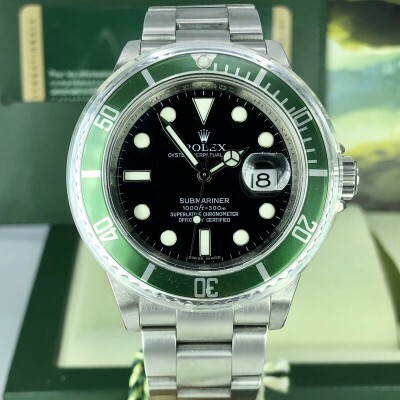 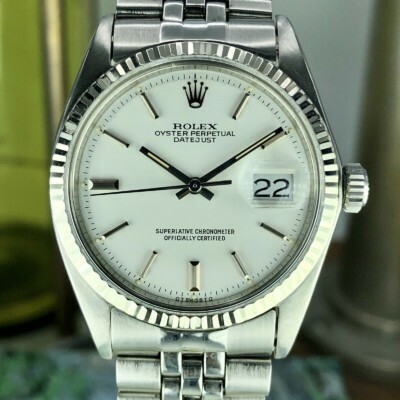 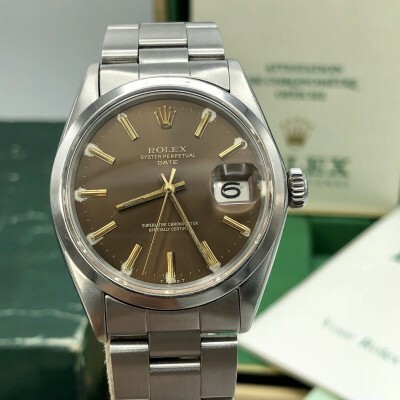 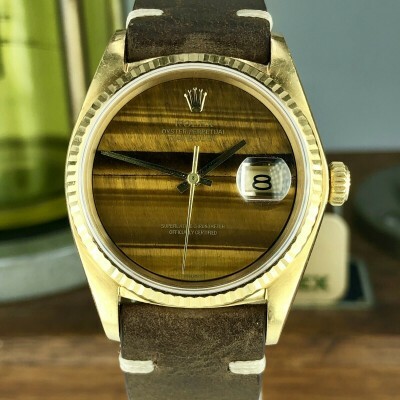 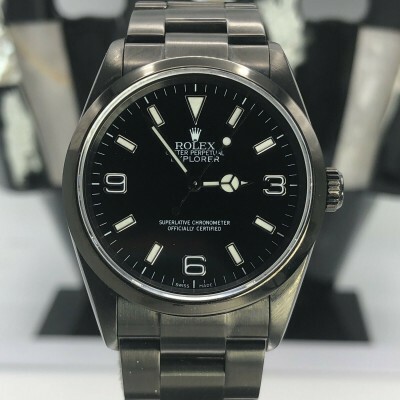 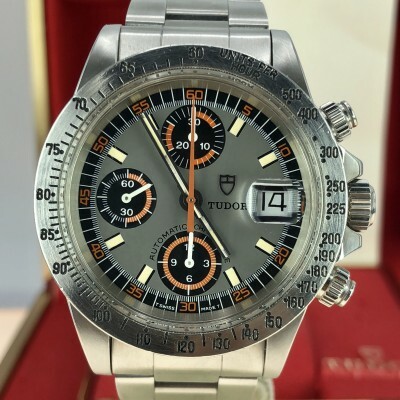 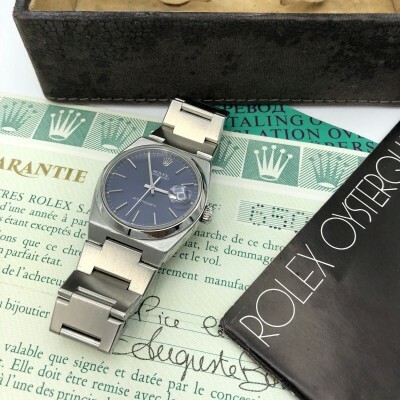 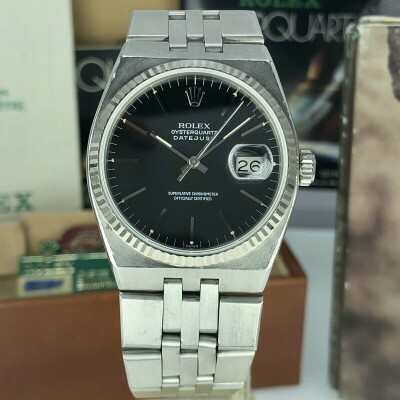 Rare Datejust ref. 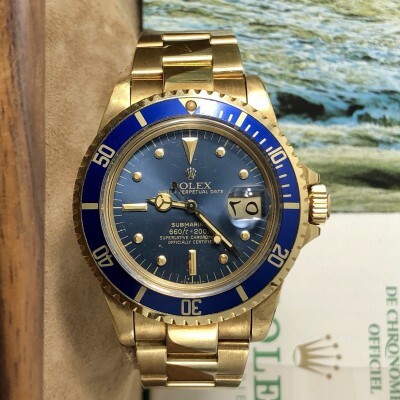 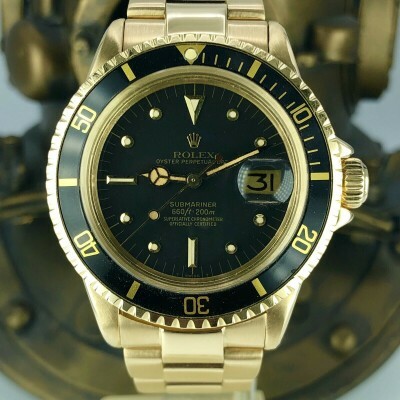 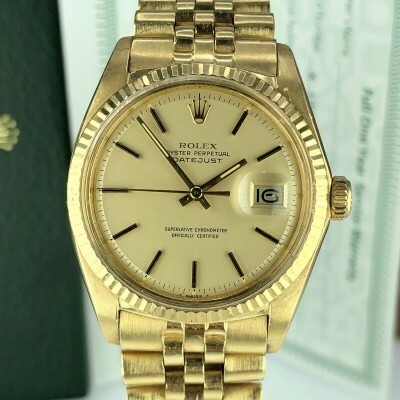 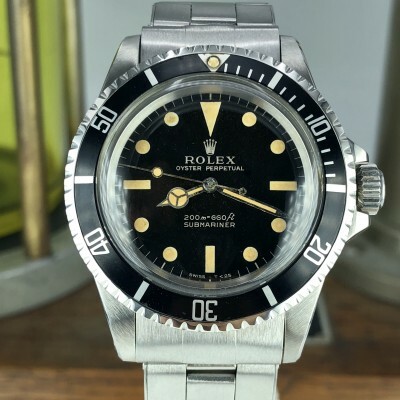 1601 in 14k solid Gold from 1965 SN: 1xxxxxx . 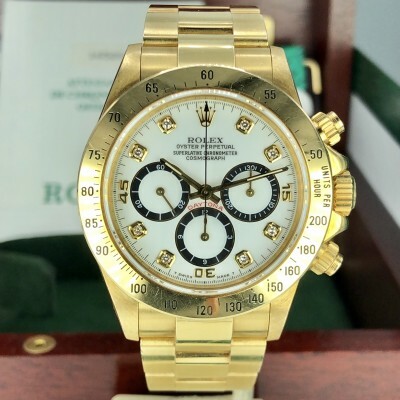 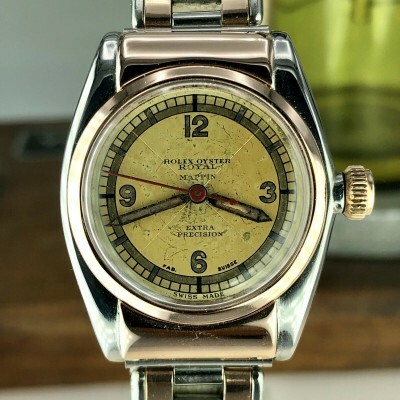 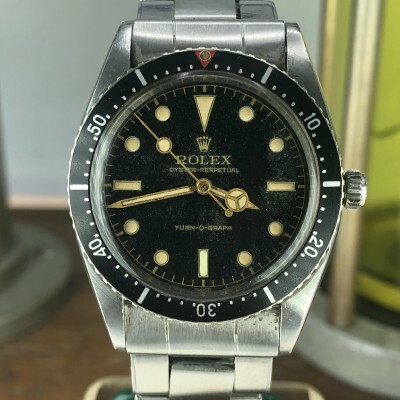 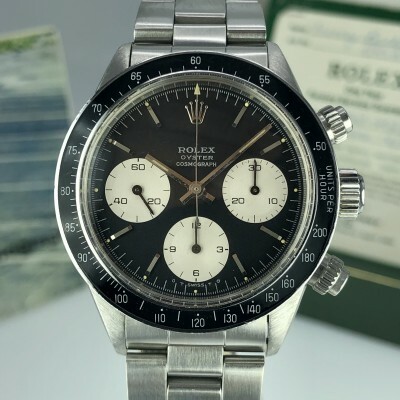 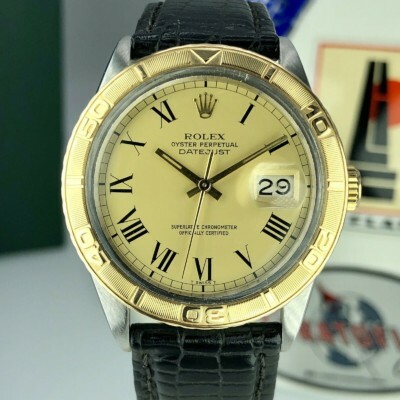 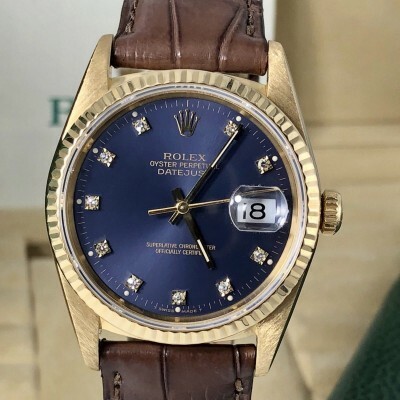 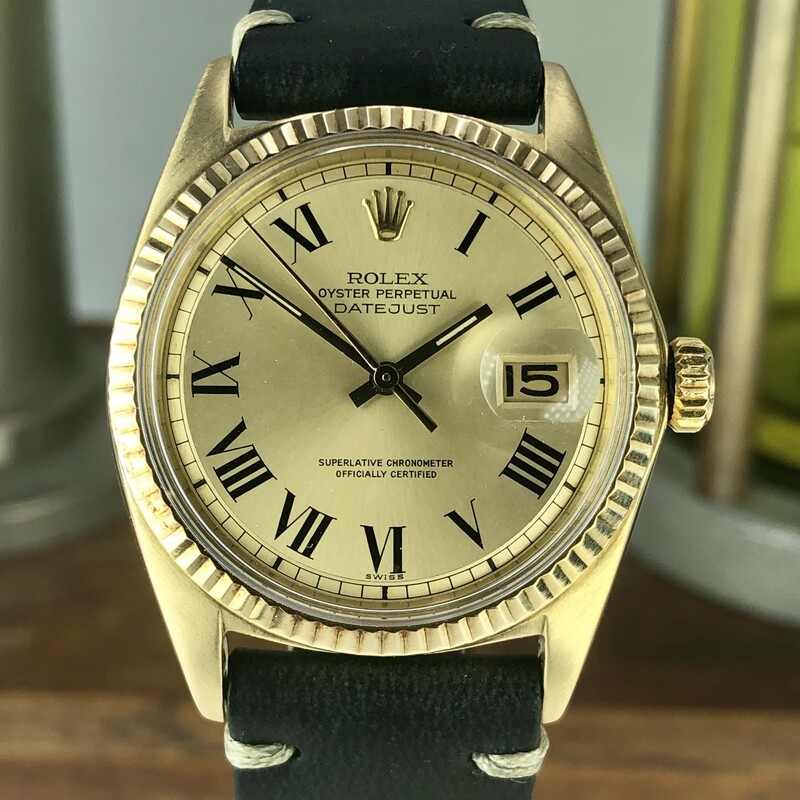 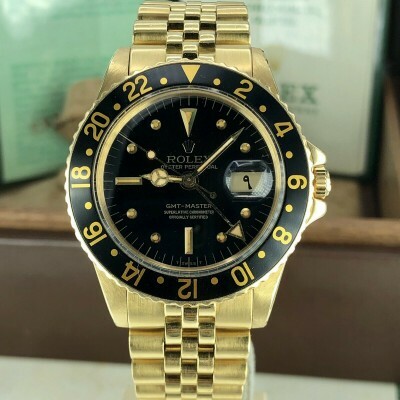 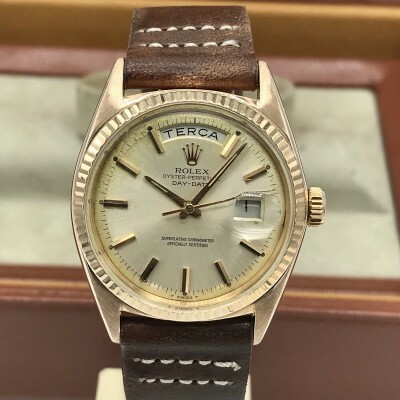 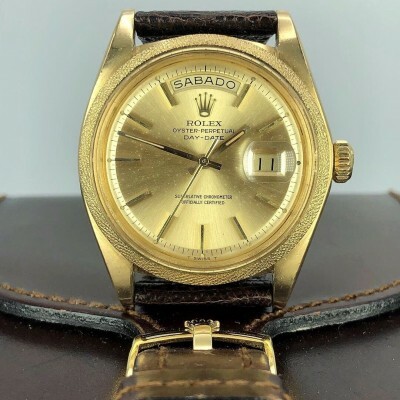 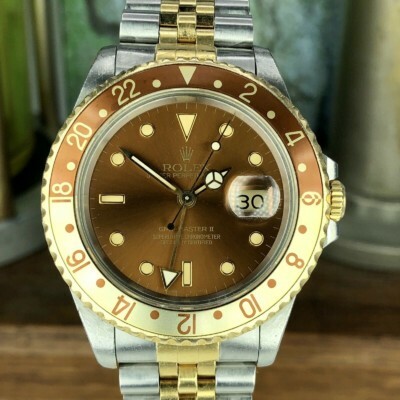 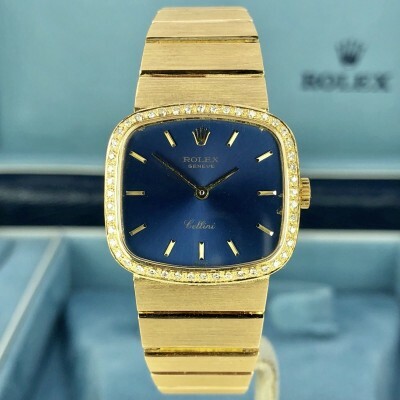 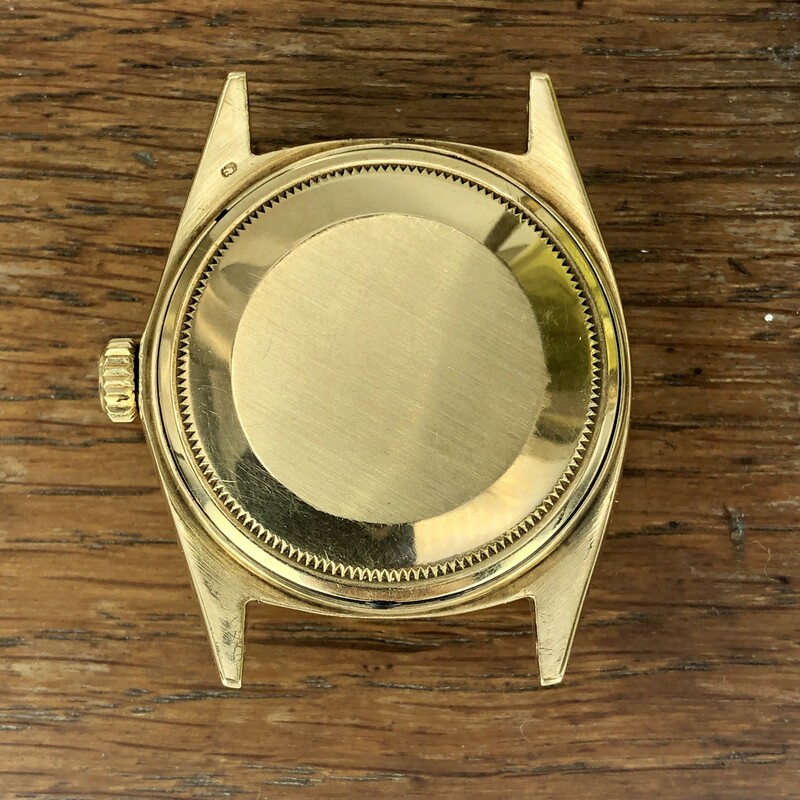 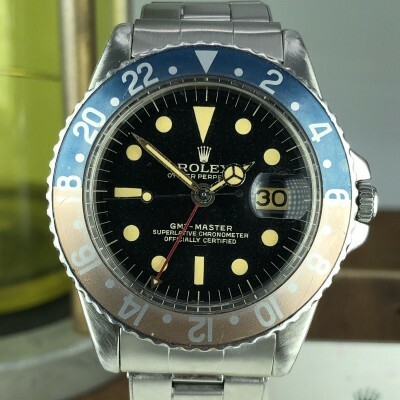 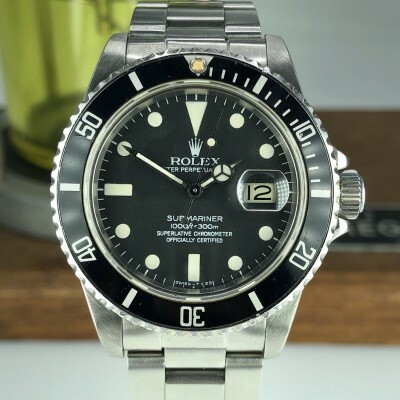 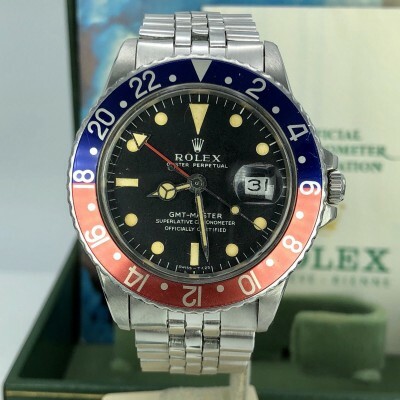 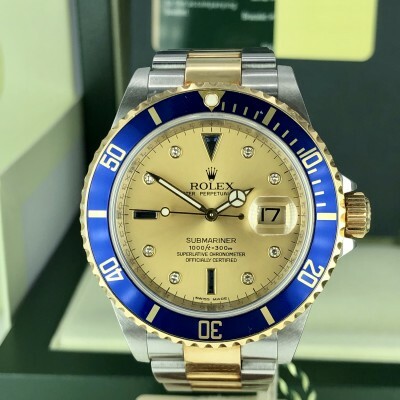 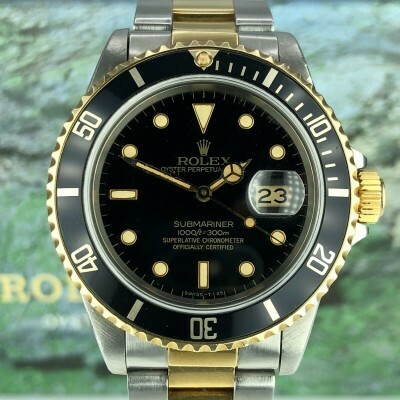 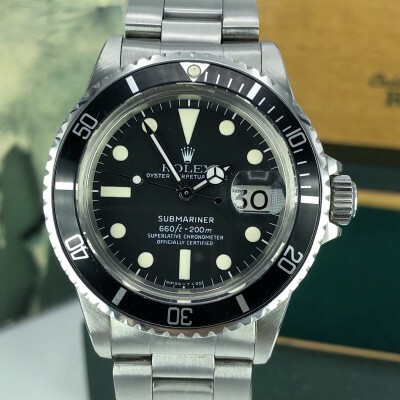 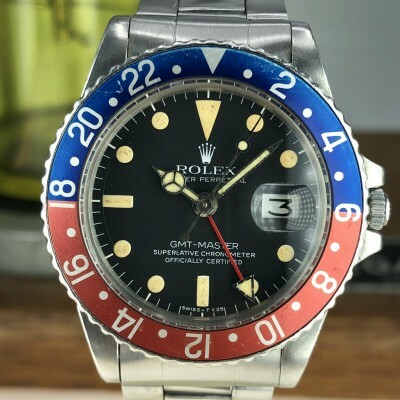 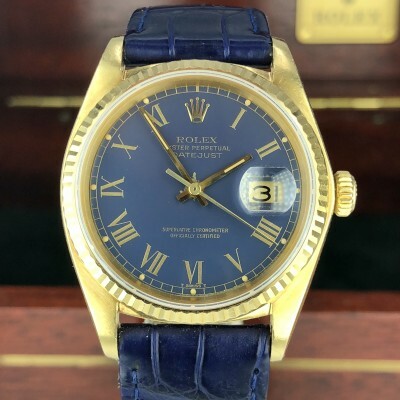 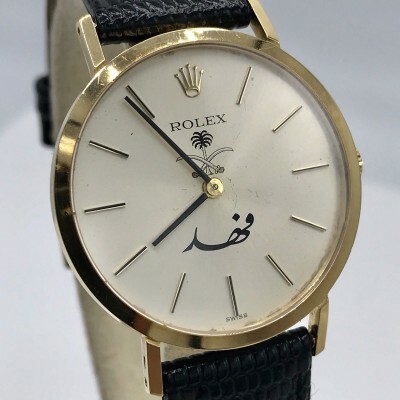 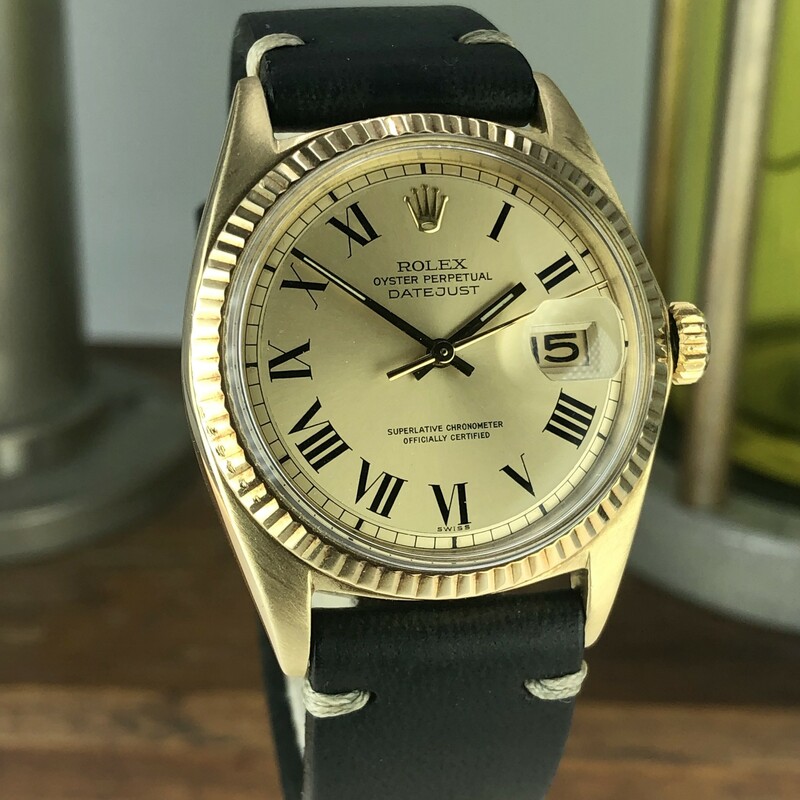 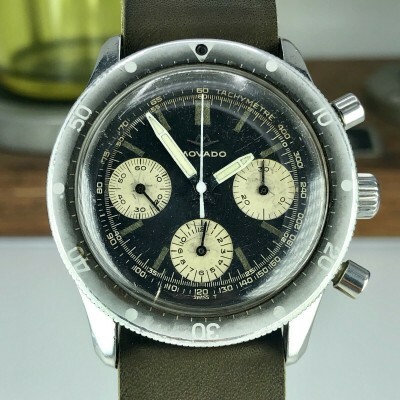 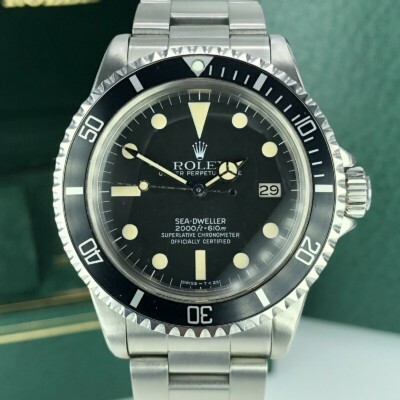 what makes this particular example rare 3 things the the original roman dial with swiss only which correct to the production period, the 14k gold case which was special for the USA market and the 1560 movement. 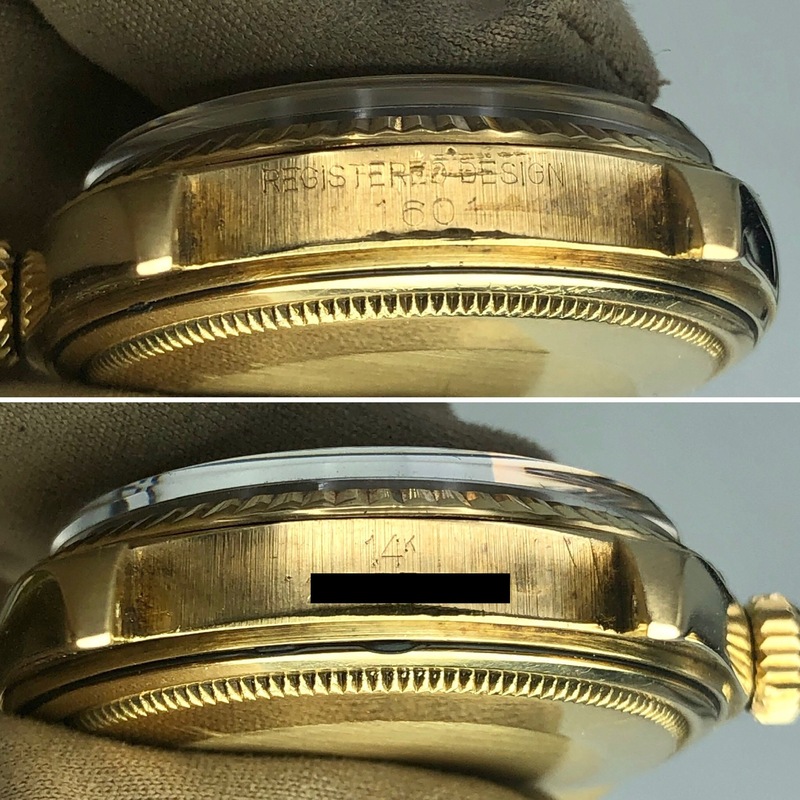 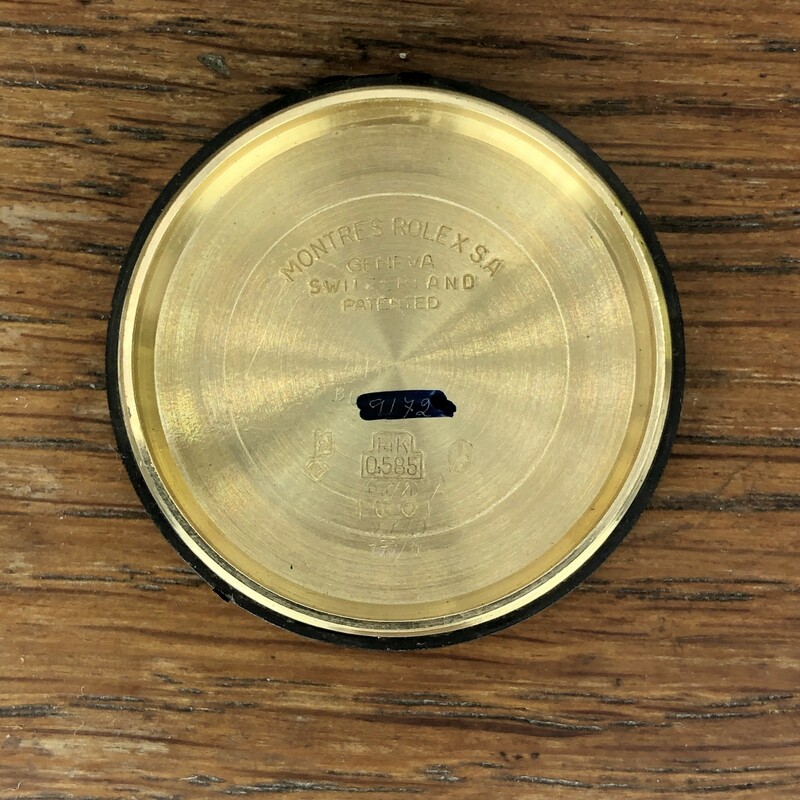 Case & Band: Very nice condition case recently polished in 14k gold, all the numbers still visible between the lugs. 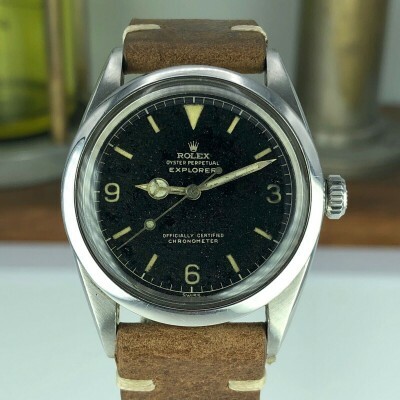 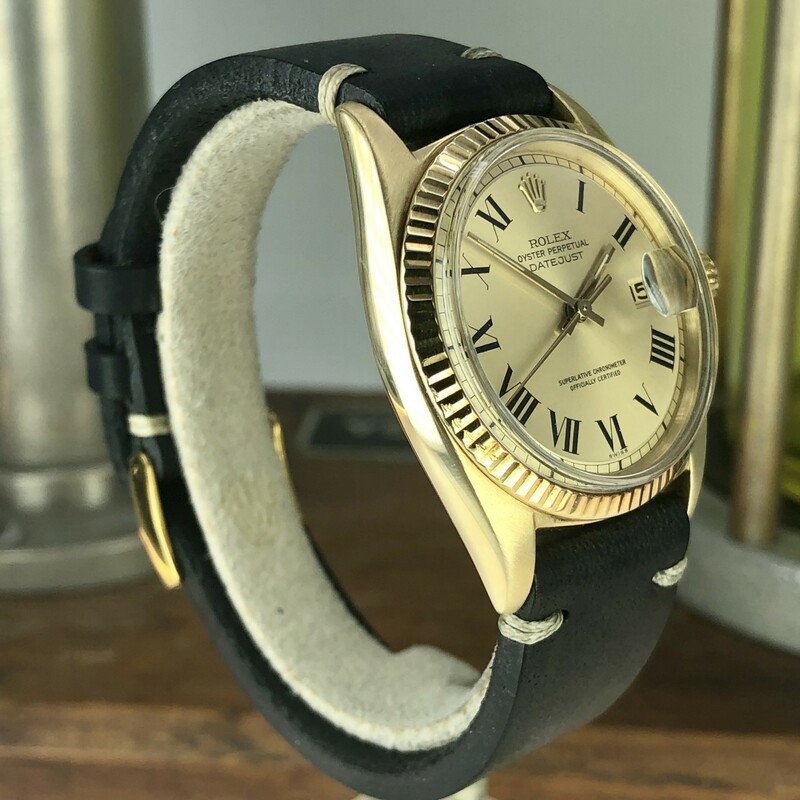 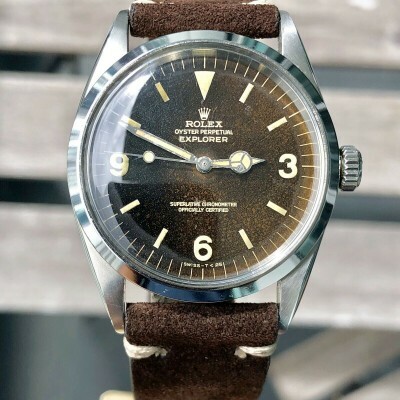 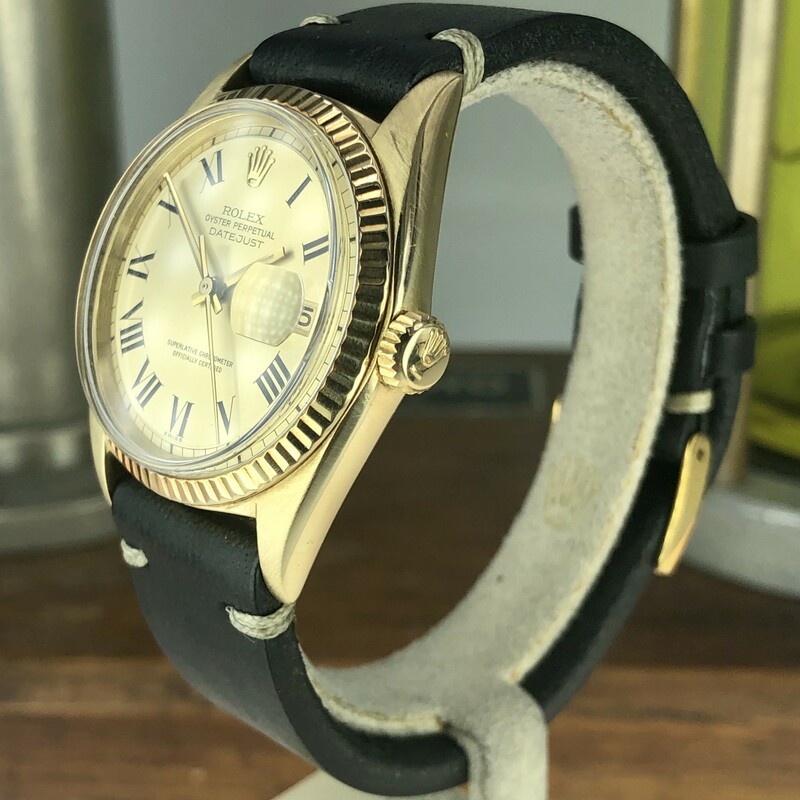 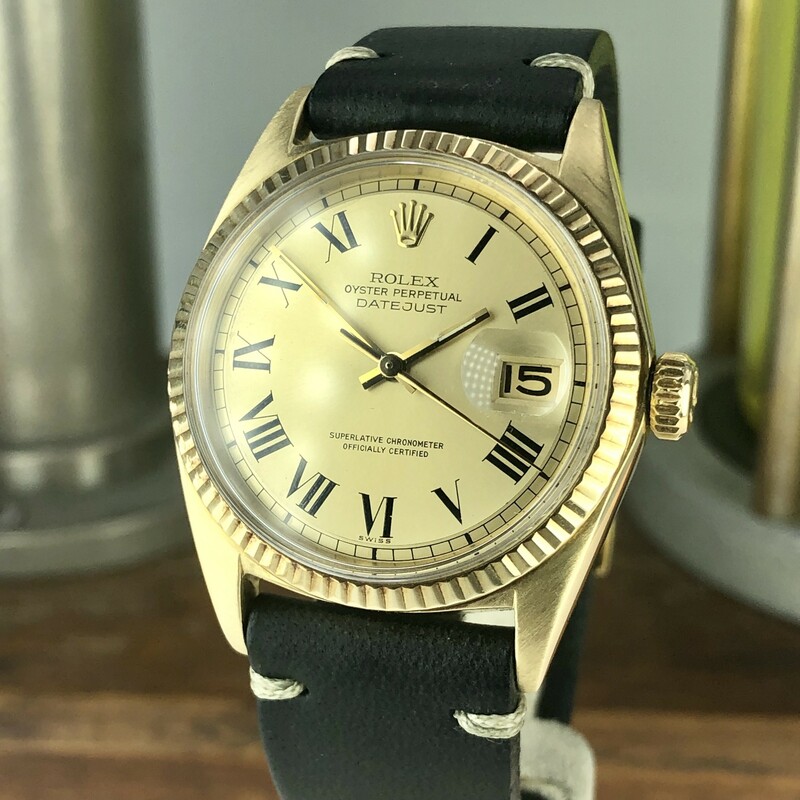 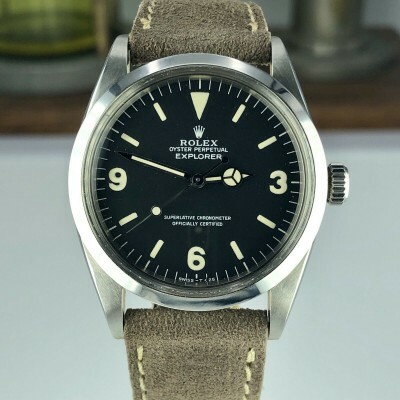 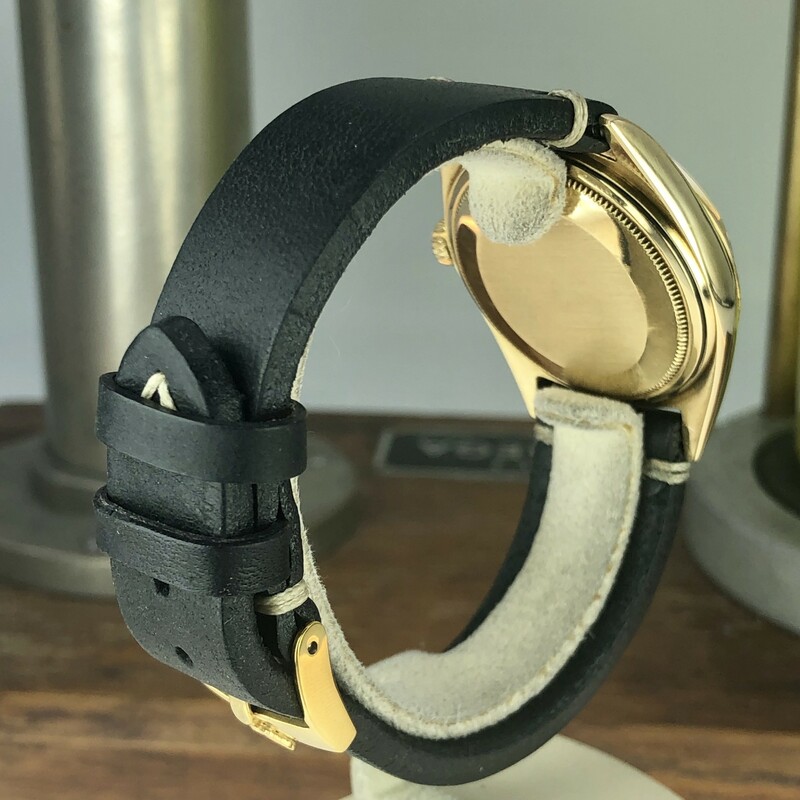 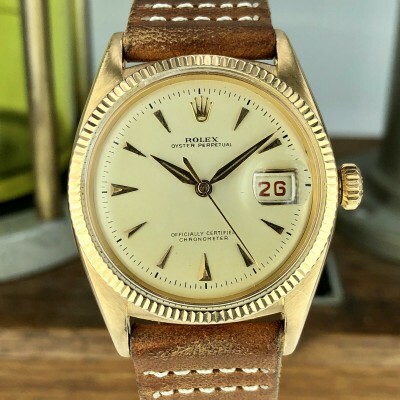 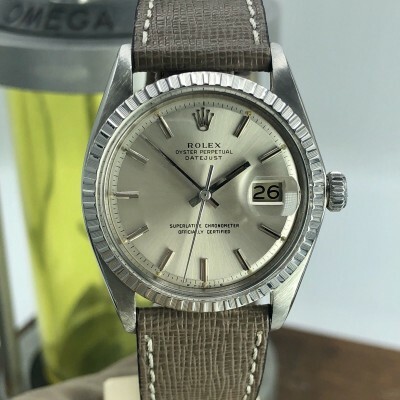 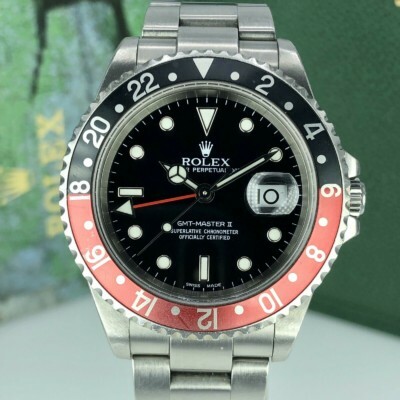 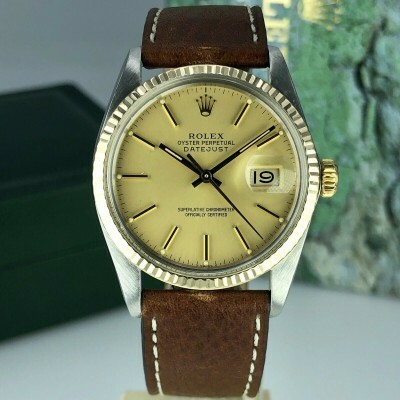 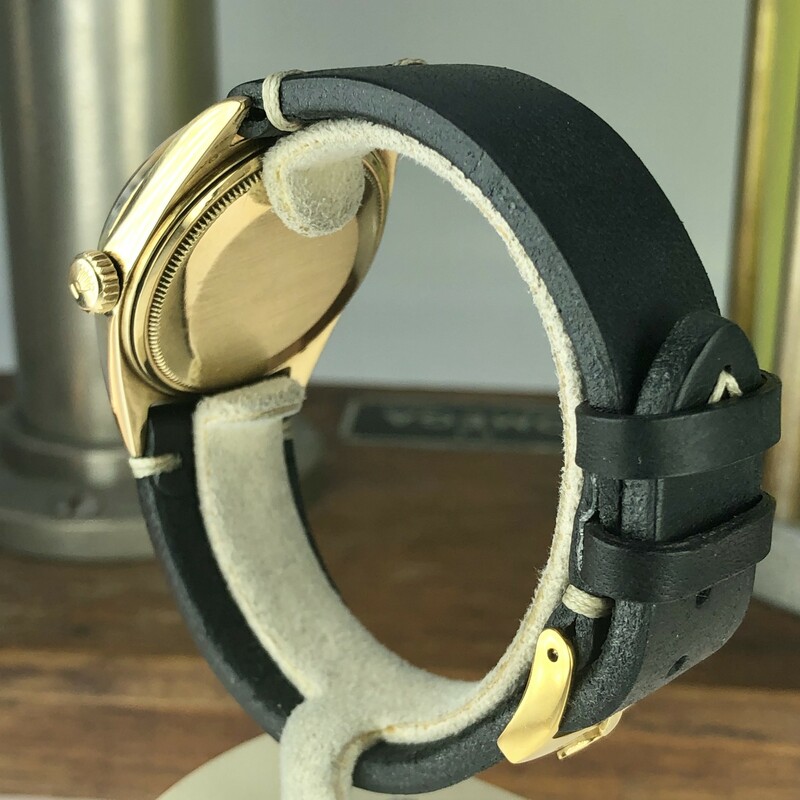 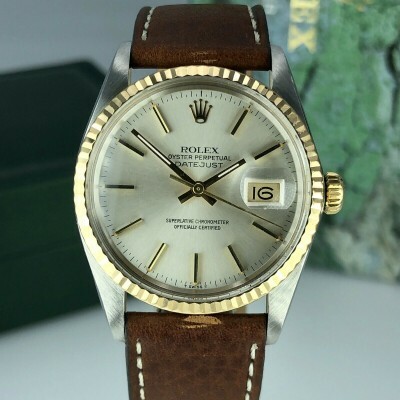 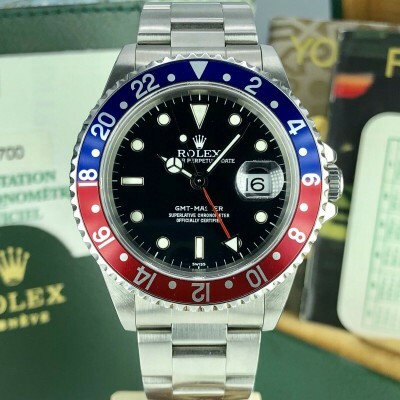 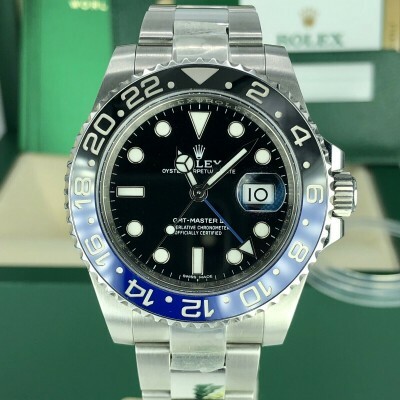 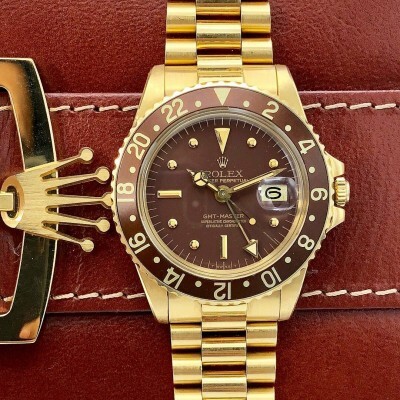 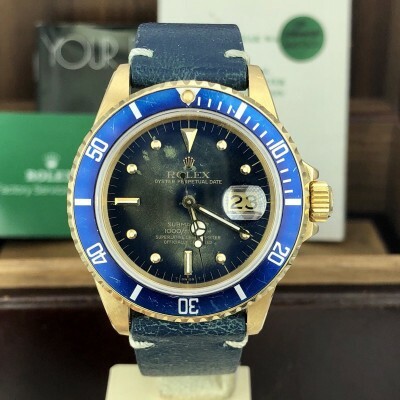 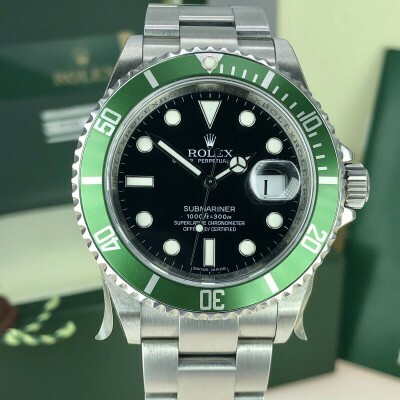 Non Rolex vintage look leather band. 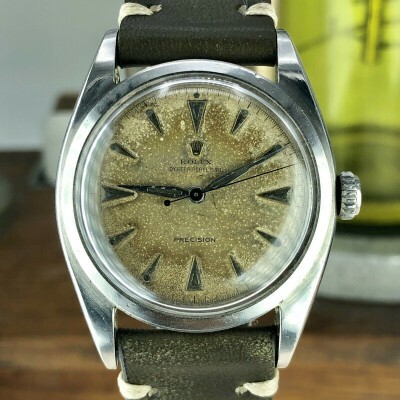 Dial: Mint condition roman dial with swiss only. 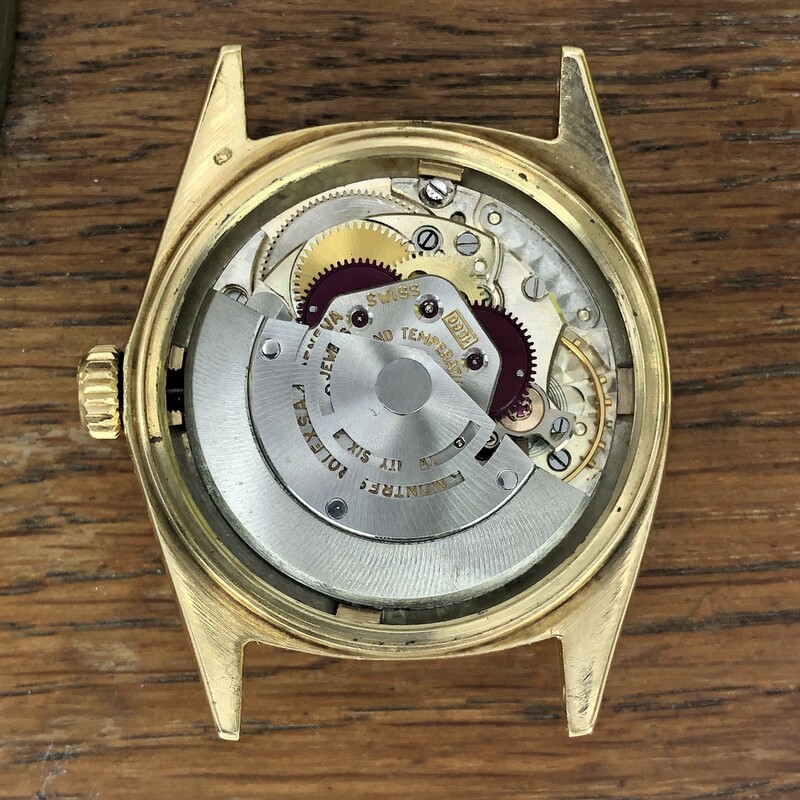 movement : caliber 1560 recently serviced.